Film and theatre programs are open to all artists involved in film, media and theatre, from writers and directors, to actors, production designers and animators. Our community programs work with local artists to create engaging and empowering workshops for the communities we serve ranging from writing mentorships, to role play improvisation, to stop motion animation and original theatre and film productions. Our volunteer artists help the communities we serve create magical new worlds that extend beyond the boundaries of a senior center, the barriers of an illness, or the emotional and physical limitations of disability, or social marginalization. As one of the most collaborative disciplines, film and theatre programs help individuals learn and benefit from the social skills required for artistic collaboration, awakening confidence and a sense of self-worth. Over the years, we’ve seen young people, seniors and the homeless, transform as they find their voice in writing programs that culminate in inspiring and moving one act plays. Our dedicated program staff, help provide collaborators and materials needed to actualize creative visions. We invite you to pitch your own ideas. The Art of Elysium’s film and theatre community engagement also includes academic programming that pairs emerging artists with established filmmakers to create fully funded feature length films. These structured, curriculum based educational programs provide opportunities for learning, mentorship, development and distribution of viable projects. Our academic programs to date have been in three universities and one high school and include partnerships with USC, UCLA, Cal Arts, Studio 4 & Palo Alto High School. Our aspiration is to take this programming to high schools and colleges around the country in 2019 and beyond. We work with academic partners to create year/semester long programming, and individual workshops on case by case basis. We’ve programmed 44,184 hours with college filmmakers and 4,720 with high school filmmakers. See Academic Case Study Deck. Writing mentorship program: Writers partner with teens, or seniors to write one act plays. We then assign directors to mentor the teens, and sometimes seniors, through the casting process, rehearsal and performance of the play. All actors are volunteers. Community workshops: Writer/Directors offer filmmaking community workshops and make short movie trailers with kids. 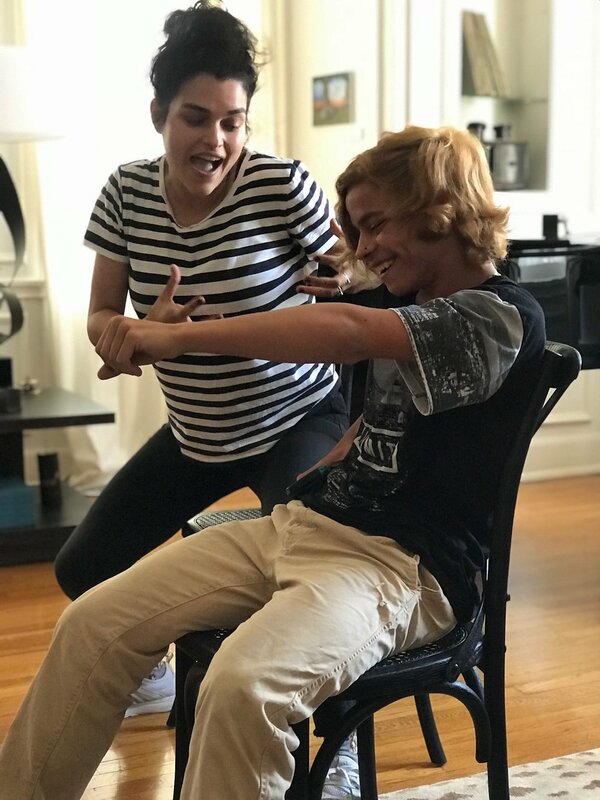 Improv: Volunteer actors utilize role play improv to help visually impaired, or developmentally delayed youth practice social skills and interactive behaviors. Animated Storytelling: Volunteer actors present short children’s plays for children, and those with developmental disabilities. Cartoon/Stop Motion Workshops: Animators work with kids to create short cartoons, or stop motion movies.